As a kid, I never understood the term, “Good Friday.” What was so “good” about the execution of a first-century religious leader? What I came to realize was that Jesus never claimed to be a mere rabbi or prophet; he claimed to be God. If this claim is true, then Jesus’ death and resurrection could take away my sin; I could ask Him to be my Savior, and be saved. If this claim is not true, then Christianity is utter nonsense. If Jesus claimed to be God, but he wasn’t God, then he was either a liar, or else he was crazy. As I studied the record of his life as recorded in the Gospels, I found no indication that Jesus was a liar. Nobody would be willing to die for a lie, yet Jesus willingly died for his belief that he was God, and that he could save the world. I also found no indication that he was crazy. Jesus made some of the most profound statements ever made. He had a singular purpose without any signs of the erratic behavior of a delusional lunatic. I came to the conclusion that since Jesus was neither a liar nor a crazy man, He must be Who He claimed to be – God. As a result, I asked Jesus Christ into my life, received Him as my Savior, had my sins forgiven, and entered into a relationship with the Living God. What’s so good about Good Friday? 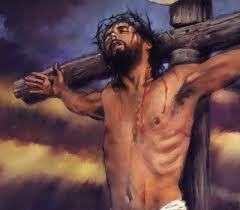 Good Friday is the commemoration of the day nearly 2,000 years ago that Jesus Christ died for my sin. As 2 Corinthians 5:21 states, “For He made Him who knew no sin to be sin for us, that we might become the righteousness of God in Him.” God the Father took my sin, and placed it on His only Son, who knew no sin, but paid the penalty for my sin in my place. Because of my sin, I deserve eternal separation from God; but, because Jesus paid the penalty for me, and because I have asked Jesus Christ to forgive my sin and to be my Savior, I instead have eternal life and an eternal, intimate relationship with God. The best part is, Jesus Christ also died for the sins of everyone who chooses to accept Him as Savior. He took the sins of the world upon Himself when He died on the cross that Friday; and His resurrection on the first Easter Sunday is the guarantee to anyone who chooses to receive Him that they will have eternal life. That’s what’s so good about Good Friday!